Administrative Law Judge (ALJ) Richard M. Clark, Office of Administrative Hearings (OAH), Special Education Division, State of California, heard this matter from February 7 to 9 and 13 to 15, 2007, in Newark, California. Attorneys Stephen Rosenbaum and Patricia Pritikin represented Student. Student and Student’s mother (Mother) were present for much of the hearing. Attorney Dora Dome represented Newark Unified School District (District). Dr. Leslie Koelsch, Director of special education for the District, was present at the hearing. Student filed his request for a due process hearing on October 6, 2006. Oral and documentary evidence were received during the hearing. The record remained open for the submission of written closing arguments by February 26, 2007, when the record was closed and the matter was submitted for decision. I. During the 2003-2004, 2004-2005, and 2005-2006 school years, did the District deny Student a free appropriate public education (FAPE) by failing to assess him in all areas of suspected disability and by failing to conduct sufficiently comprehensive evaluations? II. Did the District deny Student a FAPE by failing to make a substantively appropriate offer for the 2003-2004, 2004-2005, and 2005-2006 school years? III. During the 2003-2004, 2004-2005, and 2005-2006 school years, did the District deny Student a FAPE by violating the procedural requirements of the Individuals with Disabilities Education Act (IDEA) which impeded the parent’s right to meaningful participation in the Individual Education Program (IEP) process and resulted in loss of educational benefit? I. In the area of functional academics: intensive reading remediation, including a dyslexia evaluation and treatment, if indicated, as well as transportation to any program; speech and language interventions and transportation; comprehensive assistive technology evaluation and training as needed; a scanner; computer-based reading system and training as needed; writing software program and training as needed; calculator use instruction and transportation; remedial math program and transportation; a talking calculator; a portable pen reader; high school diploma or certificate of completion; and services from the Recording for Blind and Dyslexic with required tape player. II. In the area of transition services: comprehensive survival skills, job skills evaluation, training, placement and transportation; independent job coach to monitor transition progress; explicit instruction of organization and planning strategies; social skills training (including interaction and outings) and transportation. III. In the area of self-care and vision: Icthyosis self-care plan and counseling; vision assessment (binocular, relating to LD (sic )) and therapy if needed. IV. Reimbursement for bus or other transportation to all programs and evaluations listed above; tuition at Silicon Valley Independent Living Center (SVILC) from the time of placement; and bus or other transportation to and from SVILC from time of placement. 1 On January 17, 2007, Student’s attorney filed a prehearing conference (PHC) statement that purported to identify the issues for hearing. At the PHC held on January 22, 2007, an attempt was made to clarify the issues for hearing. Student was given the opportunity to further clarify the issues for hearing by filing a supplemental PHC statement no later than January 25, 2007. A further PHC was held on January 26, 2007, to further clarify the issues for hearing. Student’s attorney objected to further clarification. On January 29, 2007, the ALJ issued a detailed ruling listing what information was required by Student to ensure that the issues were properly identified for hearing. On February 1, 2007, Student filed a third supplemental PHC statement. On February 7, 2007, the first day of hearing, the ALJ dismissed a number of issues for hearing that were not sufficiently specified and did not comply with the January 29 order. A written list of issues for hearing was provided to counsel consistent with the February 7, 2007 ruling. On February 15, 2007, Student withdrew two issues from hearing. For clarity of decision writing, the issues have been reordered and combined by the ALJ but are the same issues that were determined on the first day of hearing. 2 Student did not provide the citation or an explanation regarding the Larry P. reference. Presumably, Student is referring to Larry P. v. Riles (N.D. Cal. 1979) 495 F.Supp. 926, affd. in pt., revd. in pt., Lucille P. v. Riles (9th Cir. 1986) 793 F. 2d 969, where the federal district court determined that intelligence tests were racially biased against African-American students and issued a permanent injunction against the use of such intelligence quotient (IQ) tests by school districts in eligibility determinations for educable mentally retarded (EMR) students. 4 The District also discussed Student’s ITP at the May 21, 2003, and May 24, 2004 IEP meetings. A more thorough discussion of the ITPs occurs later in this decision. 5 The cost of mainstreaming was not an issue listed for hearing and will not be discussed. 7 Student lists the date of the refusal to assess for auditory processing deficits as August 28, 2005. It appears that the District issued a prior written notice refusing to assess Student for a CAPD on July 28, 2005. There was no evidence or testimony concerning any request, denial or event from August 28, 2005. 8 The IEP note actually states that “[Student] has attended school enough to write more at this time.” However, through testimony at hearing, the District explained that a drafting error omitted the word “not” from the sentence between the words has and school. 9 The April 18, 2005 IEP contains the Newark Board policy for high school completion bearing the revision date of February 7, 2006. The District did not have an explanation for the discrepancy in date. However, the IEP notes state in detail that the COC was discussed and that the IEP team determined Student was not eligible for a COC. Even though the dates are discrepant, there is sufficient credible evidence to corroborate the COC discussion. 10 Mother filed a compliance complaint with CDE on January 26, 2005. On May 5, 2005, CDE found that the District was not in compliance because they failed to have a signed IEP in place for the 2005-2006 school year and ordered corrective action. The District asked to have CDE reconsider its finding. CDE granted the reconsideration and issued a new finding closing the complaint on August 17, 2005, stating that the corrective action and order were based upon 34 C.F.R. section 300.350, but ordered the District to take corrective action pursuant to 34 C.F.R. section 300.342, which was not contained in the original complaint. CDE rescinded its earlier finding and closed the complaint. For the 2003-2004 school year, Student contends that the District denied him a FAPE by failing to assess him in all areas of suspected disability, specifically for an auditory processing disorder and failing to assess or adequately assess him for a speech and language disorder. For the 2003-2004, 2004-2005, 2005-2006 school years, Student contends that the District failed to develop or implement an appropriate behavior plan to protect him from bullying at school and to teach him to deal with bullying episodes and conflicts; failed to accurately assess his cognitive level of functioning, adhering to Larry P. guidelines 2; failed to assess his planning and organizational (executive function) deficits; and failed to assess his assistive technology (AT) needs. For the 2004-2005 school year, Student contends that the behavior plan was not implemented at the February 3, 2005 IEP meeting and that the AT assessment conducted on March 9, 2005, was inadequate because it did not assess for text to speech software, mobile AT devices, and AT devices at school. For the 2003-2004 school year, Student contends that the District denied him a FAPE substantively by: failing to offer a substantively appropriate program at the May 21, 2003, and May 25, 2004 IEP meetings because the offers failed to meet the “equality of opportunity, full participation, independent living, and economic self sufficiency”3 requirements of the IDEA, as amended, and failed to consider the full range of supplementary aids and supports that could facilitate Student’s involvement in general education before placing him in a more restrictive setting. Student contends that the same violation occurred during the 2004-2005 school year at the IEP and Addenda IEP meetings held on September 13, 2004, December 15, 2004, February 3, 2005, February 28, 2005, March 17, 2005, and April 18, 2005, and during the 2005-2006 school year at the February 23, 2006 IEP meeting. For the 2003-2004, 2004-2005, and 2005-2006 school years, Student contends that the District procedurally denied him a FAPE by: during 2003-2004, failing to provide periodic progress reports and failing to develop and implement an appropriate transition plan after he turned 14 years old; during 2004-2005, failing to obtain a signed IEP for the duration of the school year; allowing Jennifer Rinna to conduct psychoeducational assessment on January 13, 2005, without parental consent; failing to provide periodic progress reports; failing to develop and implement an appropriate transition plan after he turned 14 years old; and determining at the April 18, 2005 IEP meeting, without IEP team consensus and without prior written notice, that he was ineligible for a certificate of completion; and during 2005-2006, failing to obtain a signed IEP for the duration of the school year. For the 2004-2005 school year, Student contends that the District failed to assess him in all areas of suspected disability by: failing to adequately assess him on January 10, 2005, for an auditory processing disorder by using the TAPS-UL, which was incorrectly normed and did not assess other deficient auditory system functions identified in a central auditory processing disorder (CAPD) independent evaluation; refusing to evaluate him for an auditory processing disorder on August 28, 2005; failing to adequately assess him on February 28, 2005, for a speech and language disorder, by use of the CREVT, SPELT-II, CELF-3, which involved a non-standardized probe and were not normed for his age and failed to assess his language function related to auditory processing deficits; and refusing to evaluate him for a speech and language disorder on July 28, 2005. For the 2005-2006 school year, Student contends that the District denied him a FAPE by failing to assess him in all areas of suspected disability by failing to conduct sufficiently comprehensive evaluations in the areas of visual motor integration, adaptive behaviors, and speech and language, using instruments appropriate to his disabilities and/or using qualified assessors on: January 16, 2005, by use of the Developmental Test of Visual Motor Integration (VMI) which was normed on children outside of his age group; and January 16, 2005, Adaptive Behavior Assessment Systems II (ABAS-II), because the results were invalid due to unanswered responses and questions. For the 2005-2006 school year, Student contends that the District denied him a FAPE substantively by failing to provide any therapies to address Student’s learning disabilities in the area of: a) Auditory Processing Disorders: based upon evaluation by Dr. Judith Paton dated August 6, 2005, which was discussed at the February 23, 2006 IEP meeting, that should have included auditory integration training, Fast For Word, one-on-one reading and math instruction with cognitive level memory strategies, interactive metronome, cognitive training, and intensive language training; b) Speech and Language Disorder: should have included dyslexia-therapy, language function therapy, therapy to address Student’s expressive and receptive language delays and deficits identified by the District, therapy to address articulation problems identified by the District, therapy to address weak word recognition skills identified by the District, therapy to address short-term memory deficits which impact Student’s speech and language skills as identified by the District, and therapy to address Student’s deficient phonemic awareness as identified by the District; c) Executive Function Deficits: should have included one-to-one instruction; d) Visual Motor Integration: should have included therapy to address significant deficits identified by the District; e) Vision related deficits: should have included therapy to address deficits identified by the District; f) Dysgraphia and fine-motor deficits: should have addressed fine-motor problems related to Student’s ability to write by hand; and g) AT: should have included therapy and support to allow Student to access technology to address his reading, math, language, and executive function deficits identified by the District in the home and at school. The District counters that it has at all times provided Student with a FAPE. The District contends that Student was eligible for special education in the category of mental retardation and that any claim by Student that he was learning disabled and not mentally retarded is not supported by the assessments and reports provided by Student and the District. The District further contends that it properly met all of Student’s unique needs, that his educational program was designed to provide him educational benefit, that the services he received were as required by his IEP, and that the District properly considered all placement options before it made a placement offer to Student. The District also contends that it did not commit any procedural violations of the IDEA and that the Mother participated extensively in all IEP team discussions and decisions. Finally, the District contends that Student’s poor attendance and lack of cooperation directly impacted its ability to assess Student’s needs and negatively affected his academic progress. 1. Student is currently 21 years old and resides in the District with his mother. Student is eligible for special education under the category of mental retardation. 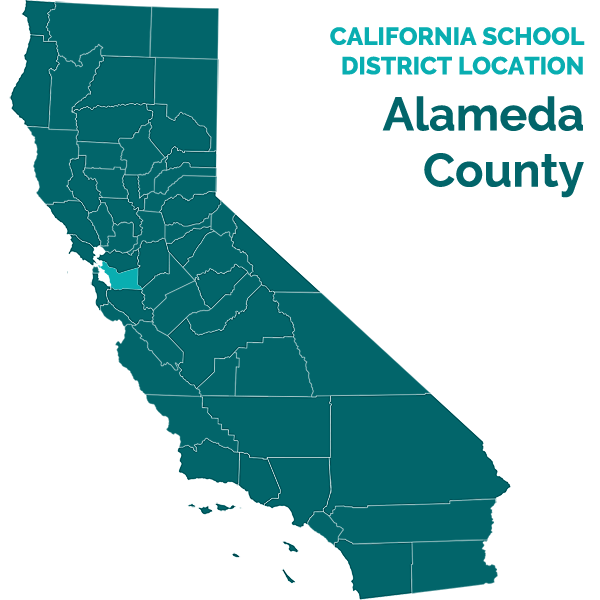 Student moved into the District in August 2002 after relocating from the Hayward Unified School District (Hayward) where he had an IEP that qualified him for special education in the category of mental retardation. Student attended Newark Memorial High School (NMHS) until approximately May 12, 2005, when his Mother unilaterally removed him from the District and enrolled him at the Silicon Valley Independent Living Center (SVILC) . Student is not currently receiving educational services or attending school in the District. 2. Student, who is African American, turned 18 years old on January 11, 2004. He is not under a conservatorship. On December 2, 2004, Student signed a document that gave his Mother the authority to make educational decisions for him. 3. Student contends that the District failed to assess or adequately assess him during the 2003-2004. The District is required to assess Student in all areas related to his suspected disability not more than once a year and at least every three years or more frequently if the District determines that Student’s educational and related service needs warrant a reassessment. 4. Student’s previous triennial assessment occurred in May 2002 while he was a student in Hayward, and his next triennial IEP was due in May 2005. His annual IEPs occurred on May 21, 2003, and May 25, 2004. Student failed to offer sufficient evidence to indicate that the District was on notice that assessments or a reassessment in the areas of auditory processing, speech and language, cognitive functioning, or executive functioning during the 2003-2004 school year. Further, Student offered no testimony that the psychoeducational assessment was conducted in violation of the Larry P . decision. 6. In addition, the May 21, 2003 IEP had a specified goal for organizational difficulties. Student did not otherwise offer sufficient evidence that the goal did not address his specific needs in that area or that further testing was warranted. Accordingly, Student did not establish that the District failed to assess in the listed areas. 7. The May 21, 2003 IEP reflects a notation in the case summary that Mother requested a referral to the Center for Accessible Technology but there was insufficient time to discuss the purpose or appropriateness of the request. There was no follow-up by the District or Mother, and it was not discussed again at the next IEP meetings in March or May 2004. Mother did not offer any testimony at the hearing about this request. 8. Student has not provided any testimony or evidence that AT was an area of need for Student and there was no other persuasive testimony that Student was not able to access his educational program and curriculum without AT devices during 2003-2004. 9. In order to offer Student a substantive FAPE, the District’s proposed program offer must be designed to address Student’s unique educational needs, be reasonably calculated to provide some educational benefit to Student, and comport with the IEP. Student contends that the program offers implemented for him during the 2003-2004 school years were not appropriate and that, therefore, the District denied him a FAPE. 11. The IEP team reviewed his present levels and developed goals to meet his needs in the area of functional living skills for driving and independence in the community, math, reading, written expression, peer interaction, and organization, which could be worked on in the educational setting. The team structured a program for the 2003-2004 school year that placed Student in general education for 15 percent of the day and special education for 85 percent. His program offered one class per day in general education, English in a resource class, a special day class (SDC) for learning handicapped for three classes per day, and work experience for one class per day. The team considered the results of the Brigance Inventory of Essential Life Skills and the Brigance Inventory of Life Skills given to Student. 12. At the May 25, 2004 annual IEP meeting, the IEP team discussed that Student continued to need a functional skills program to support academic need. The IEP team offered Student three classes of general education and two classes in an SDC for English and Life Science. Student was recommended for increased work experience and ROP. Student would spend 49 percent of his time in general education and 51percent of his time in special education. No concerns were expressed related to communication, motor development, vocational skills, or social-emotional areas. Mother indicated that she would like more options in his work experience program. Goals were developed in reading and written expression. The program offered on May 25 was designed to teach life skills. The IEP team did not have any assessments to review since Student refused any assessments and his attendance made it unlikely that he had made much progress on his academic goals. 13. If a child’s behavior impedes his learning or that of others, an IEP team may consider the use of a behavioral support plan (BSP) as a positive behavioral intervention and support to address that behavior. Student contends that the District did not offer a BSP to address bullying of Student that was occurring at school. 14. The May 21, 2003 IEP reflects that Student had made great strides socially and gets along “fairly well” with his classmates and often plays basketball with other students at lunch and break. The IEP notes that Student “has evolved some strategies to deal with conflicts with other students and occasional insults” and he attends group counseling. 15. Student did not offer any persuasive testimony that he was subjected to bullying at school. Student testified that there were isolated incidents at school involving conflicts with other students, but he did not describe the incidents as “bullying,” and he was unable to specify a school year. There was no corroboration of his testimony from the District or from any of the documents and IEPs received in the case. Student did not offer sufficient evidence to meet his burden that bullying required a behavior support plan during the 2003-2004 school year. 16. The IEP team met again on May 25, 2004, and reviewed the May 21, 2003 IEP. Student had made progress on his goals and objectives and he received the services and program required by his IEP. The services offered at the May 25, 2004 IEP were designed to deliver the program and services required by the IEP offer, but the IEP team discussed that Student’s attendance was affecting his academic performance. 17. The District offered the expert testimony of Melinda Pickens, who is currently a consultant and instructor in the area of special populations in the general education classrooms. It was her opinion after a review of the May 21, 2003, and May 25, 2004 IEPs, that the goals and objectives were appropriate based upon Student’s functioning levels and that the programs were designed to provide Student educational benefit. 19. Both program offers made at the May 21, 2003, and May 25, 2004 IEP meetings contained general education classes and special education classes. Russ Riley, program specialist for the District, testified and established that the amount of time Student spent with non-disabled peers was considered when the placement offers were made on May 21, 2003, and May 25, 2004. Given the nature of Student’s disability and the level of academic support needed, the team believed that offering combination program of special education and general education would provide the best program for Student. Thus, the IEP team properly considered the LRE factors when decided upon Student’s placement. 20. Student did not establish that the District failed to consider other placement options or what other services were necessary to meet Student’s needs. Student did not offer any testimony or evidence regarding in what manner the IEPs were inappropriate or failed to meet his unique needs. Student also failed to offer any testimony or evidence regarding what aids and supports were required to meet Student’s needs. 21. The program offers made to Student took into account his unique needs and the nature of his disability. Based upon a review of the IEP documents and testimony received during the hearing, the ALJ concludes that the District offered Student a FAPE during the 2003-2004 school year. 22. Procedural errors during the IEP process may constitute a denial of FAPE when the procedural inadequacies impede the child’s right to a FAPE, cause a deprivation of educational benefits, or significantly impede the parent’s opportunity to participate in the decision-making process regarding the provision of FAPE. 23. An IEP must include when periodic reports of the child’s progress will be issued to the parent. Student contends that he never received periodic progress reports as required under the IDEA and California Education Code. 24. Mother testified that she “really doesn’t know” whether she received any information about Student’s progress from the District. She never received a written progress report, however, for any school year. Mother said she would contact teachers and invite them to say how Student was doing at the IEP meetings. 25. Dr. Leslie Koelsch, the District’s special education director, testified and established that Student received the same grade reports periodically as other students received. At all IEP meetings, Student’s progress was discussed and goals and objectives were reviewed. Even though individual IEP documents did not specify the dates that the progress reports were given or how Student did during the progress period, every teacher kept records related to progress on the goals. Dr. Koelsch testified persuasively that Student’s progress on goals and objectives were discussed at Student’s IEP meetings. 26. The notes from the May 21, 2003 annual IEP meeting reflect discussion of Student’s goals and objectives and indicate that new goals and objectives were added based upon IEP team discussions. IEP meetings were held on March 22, 2004, to discuss a fight involving student in the cafeteria, and at the annual IEP on May 25, 2004. The IEP notes for the March 22, 2004 IEP meeting reflect that the IEP team discussed Student’s “credits and potential for graduation,” and included a copy of Student’s cumulative grade report dated March 1, 2004. The notes from the May 25, 2004 IEP meeting reflect discussion of goals and objectives and attendance problems. Annual goals and objectives were drafted and the IEP lists dates for periodic progress to be noted in the IEP. 27. While the IEP documents do not specify the dates when periodic progress reports were provided to Student, the overwhelming weight of the testimony and evidence shows that the District provided Student with regular updates about his progress during the 2003-2004 academic year. 28. An Individual Transition Plan (ITP) must be developed for all special education students when they turn 14 years old and must be reviewed annually thereafter.6 Student contends that the District did not develop and implement an appropriate transition plan for Student after he turned 14 years old in January 2000. 29. Student entered the District with an ITP that had been developed in Hayward when Student was 14 years old. Mother testified that transition goals and plans were discussed, first at Hayward, then at Newark. 30. At an IEP meeting held on May 21, 2003, the IEP team reviewed and discussed a document entitled ITP that had been developed on January 30, 2003, and was part of Student’s IEP. Mother attended both meetings. Student was 17 years, 5 months old. The May 21, 2003 IEP notes reflect extensive discussion about ITP programs and work experience offered through the District, including Workability, which is the California Department of Education (CDE) transition program, the “SH program” and use of the career center at NMHS. The IEP team developed goals for the ITP that were to be implemented over the next year. The notes also reflect that Mother requested a variety of work related experience and indicated that she had seen progress in Student. Dr. Koelsch testified and established that the ITP was thoroughly discussed with input from Mother at the May 21, 2003 meeting. 31. At a March 24, 2004 IEP meeting, which was called to discuss a fight in the cafeteria, Student’s vocational and work experience needs were discussed even though it was not an annual IEP meeting. 32. The notes from the May 25, 2004 IEP meeting reflect extensive discussion about transition services for Student and the IEP contains a written ITP plan dated May 25, 2004. Student and Mother both attended this meeting. Student was 18 years old. Workability and participation in the Regional Occupation Program (ROP) were fully discussed. The IEP notes state that Student had been successful in his work experience class and recommended ROP for the fall 2004. Additional ITP goals were also developed. Accordingly, the District discussed and implemented an ITP program for Student during 2003-2004 school year. Auditory Processing Disorder using the TAPS-UL. 33. Student contends that the Test of Auditory Perceptual Skills Upper Level (TAPS-UL) utilized by school psychologist Jennifer Rinna in her assessment on January 10, 2005, was not normed properly and that it failed to identify any other auditory system deficiencies that were mentioned in an independent central auditory processing disorder (CAPD) evaluation prepared by Judith Paton. 34. Ms. Rinna administered the TAPS-UL to Student as part of her psychoeducational assessment on January 10, 2005. The TAPS-UL measures the ability to recall words, sentences, and numbers presented orally. Ms. Rinna reported that Student scored well below average on the test and she noted that the auditory processing scores may be representative of Student’s broader overall cognitive deficits. Ms. Rinna did not address the testing norms in her report. 35. Judith Paton conducted an audiology assessment of Student and prepared a report on August 6, 2005, which found Student to have a CAPD. Student provided the report to the District on February 23, 2006. Ms. Paton stated that the use of the TAPS-UL was outside of her field and area of expertise. She did not comment on the norms for the test. Ms. Paton further found that Student had short-term memory problem which could impact his ability to read, learn math and phonics, and that his auditory processing deficits contributed to poor social interactions. Ms. Paton recommended extensive remedial services for Student, including Auditory Integration Therapy (AIT) which she could provide in her private practice. 36. Student offered no other evidence or testimony regarding the adequacy of the norms for the TAPS-UL. 37. Colleen Peterson is an audiologist working for the District. She testified and established that there were not audiological studies that support Ms. Paton’s conclusions involving central auditory processing issues on students with cognitive delays. Ms. Peterson had reviewed at least 30 reports from Ms. Paton that had all found the assessed student had a CAPD and recommend AIT. Ms. Peterson testified that there are no research-based studies that show AIT works, only anecdotal accounts from individuals who say AIT appears to work. The District was aware of Student’s auditory processing and language deficits and provided an educational program in a special day class to address those difficulties. Ms. Peterson based her opinion and relied upon an article and research from Dr. James Bellis, who is a recognized expert in the field and works with the American Speech Language Hearing Association (ASHA). Dr. Bellis stated that it is not correct to label all auditory processing difficulties as a CAPD even if behaviors appear similar to a CAPD when the auditory processing disorders are the result of higher order, more global deficits, such as mental retardation. Dr. Bellis indicated that not all learning, language and communication difficulties are due to CAPD, particularly when there are other cognitive deficiencies present. 38. To the extent that there is a conflict between the two experts, the ALJ finds that Ms. Peterson offered more persuasive and compelling testimony. Her opinions were supported by research in the field by well known experts and are consistent with other experts who testified in the hearing. The ALJ is persuaded that Student has mental retardation that causes learning, language and communication delays that are not due to a CAPD. 38. Student contends that the Structured Photographic Expressive Language Test-II (SPELT-II), the Comprehensive Receptive and Expressive Vocabulary Test (A) (CREVT), and the Clinical Evaluation of Language Fundamentals 3 (CELF 3) utilized to assess Student on February 28, 2005, were not normed properly and that they failed to assess language function related to auditory deficits. Student offered no testimony or evidence directly related to this contention. 39. Even though there is a failure of proof on behalf of the Student, the District offered testimony from Bonnie Groth, who testified as an expert in the area of speech and language (SL) pathology. She did not assess Student, but reviewed records and assessments conducted by the District, including a February 28, 2005 SL assessment conducted by Lynn Davies, a SL pathologist working for the District. Ms. Davies utilized the SPELT-II, CREVT, and the CELF 3 in her assessment of Student as non-standardized probes and limited the measure of present levels of performance, noting that she did so due the absence of standardized tests normed for African American children, particularly those over the age of 18. Ms. Davies concluded from the testing and her observations that Student demonstrated expressive and receptive language skills within the range expected for his developmental level and that Student had goals and objectives specific to language and processing skills which could be worked on and strengthened in his special education program within the classroom and vocational setting. Ms. Groth testified that the SPELT-II, CREVT and CELF-3 testing only looked at his performance and did not compare him to the normed areas. The testing revealed significant impairment in the areas measured but she agreed with the recommendations to work on those impairments during the school day and environment. 40. The persuasive weight of the testimony was that the listed tests were appropriately used in the evaluation of Student. 41. The District offered prior written notice on July 28, 2005, that it was refusing to assess Student in the areas of vision behavioral optometry, audiology to determine if Student had a CAPD, language, and neurological or medical evaluations. According to the prior written notice, the refusal was based upon review of Student’s records, reports, observations and research. 42. Student did not offer sufficient testimony or evidence indicating why the District’s refusal was unwarranted or why Student should have been evaluated in the listed areas. There was no evidence or testimony about why or when Student made the request for assessment. To the extent that Student relied upon a neuropsychological evaluation of Student conducted by Dr. Diamond in May and June 2006, it was thoroughly discredited on cross examination and is not sufficient to link her findings to any assessment or lack of assessment by the District in July 2005, as stated in Factual Findings 77 to 83, infra . 43. Student contends that the District failed to fully assess his AT needs on March 9, 2005. 44. Margaret Mowry-Evans has a master’s degree in orthopedics and is an expert in the area of assistive technology and consults with the District. Mother signed an assessment plan consenting to an AT assessment on February 28, 2005. As part of the assessment, Ms. Mowry-Evans met with Student and his mother at their home on March 9, 2005, to do a home observation and found the conditions less than ideal to do an evaluation. She had intended to do further assessments, including an in school observation and talk to his teachers, but received notice on March 18, 2005, that Mother had withdrawn consent to the AT assessment. Ms. Mowry-Evans prepared a report on her one in home observation of Student which was presented and considered at the April 18, 2005 IEP meeting. A new IEP goal was written based upon her assessment for fluent typing and life skills involving near point copying. She testified that it was a reasonable goal based upon her report. 45. The District was able to partially complete an AT assessment of Student but was thwarted in its ability to complete a thorough assessment because Mother withdrew her consent to the assessment. Student failed to sustain his burden of proof that the District conducted an incomplete AT assessment on March 9, 2005. 46. At Student’s triennial IEP meeting held on February 28 and March 17, 2005, the IEP team thoroughly reviewed and considered a full range of assessments prepared as part of the triennial evaluation. The IEP discussed that Student needed a functional skills program that taught vocational training, functional life skills, and skills to live more independently. Mother wanted Student’s program to focus more on transition services for Student. Attendance continued to be an area of concern. 47. Joel Levin is an SDC teacher in Newark where he teaches functional life skills, job skills, and daily living skills. He attended the February 3 and 28, and March 17, 2005 IEP meetings because his class was the proposed placement for Student. His class worked on math, writing, computer skills, speech and cooking. The students were mainstreamed for one period per day, during lunch, for adaptive physical education, and any electives, and received community based instruction one day per week. All programs were based upon individual needs and individual IEPs and it was a language based program working on functional life skills. Mr. Levin proposed a program for Student that covered work experience, life skills, and job skills that would be developed in class. The program was based upon Student’s assessments and Mr. Levin’s conversation with Student whom he had met and interviewed. Mr. Levin utilized the Brigance Inventory Life Skills test that was administered by Peter Liu, Student’s case manager, to develop goals in the area of personal banking, safety, vocational, work experience, social, and life skills. 48. The proposed program offered 90 percent time in special education with the focus on life skills and vocational training, with 10 percent in general education. Mother attended and fully participated. The same goals were presented at all three IEP meetings but were revised based upon IEP discussions. The IEP team considered where best to implement the proposed program at the IEP meetings. 49. On February 3, 2005, and addendum IEP meeting was held to discuss Student’s schedule. Bullying was not listed as a discussion item at the IEP meeting. Student did not offer sufficient testimony to indicate that bullying at school warranted a behavior support plan and did not offer testimony or evidence that bullying was an issue on February 3, 2005. IEP meetings were held on December 14, 2004, and February 28, 2005, and bullying or the need for a BSP to address bullying was not discussed. 50. The overwhelming weight of the testimony at the hearing revealed that Student had isolated incidents with other students and he was often the initiator or instigator in those encounters. Student had an incident during work experience in the cafeteria that was discussed at the March 22, 2004 IEP meeting and was determined to be situational and related to Student’s work experience responsibilities in the cafeteria. Incidents during ROP were discussed at the November 12 and December 15, 2004 IEP meetings. The ROP instructor provided a detailed list of behavior incidents involving Student and others which listed Student as the initiator. Mother did not attend the November 12 IEP, but did attend the December 15 meeting and stated that Student would no longer attend ROP. 51. A BSP was presented at the February 28, 2005 triennial IEP meeting but did not list bullying as an area of concern, but was focused on conflicts involving Student and his peers that escalate into classroom disruption and verbal defiance by Student. There was insufficient proof to establish that a BSP was required for bullying on February 3, 2005. 52. The program offer was not signed by Mother but offered the necessary supports and placements to implement the program. 53. The District offered the expert testimony of Melinda Pickens, who is currently a consultant and instructor in the area of special populations in the general education classrooms. It was her opinion, after a review of the February 28, 2005 IEP offer that the goals and objectives were appropriate based upon Student’s functioning levels and testing. Ms. Pickens believed that the program was designed to provide Student educational benefit. 54. The program offer made at the February 28 and March 17, 2005 IEP meetings contained primarily special education services which reflected the best placement to implement the functional life skills and vocational program that had been developed. Student’s program had changed from an academic based program to a more vocationally based program. Mr. Levin testified and established that the amount of time Student spent with non-disabled peers was considered and the IEP team considered what placement would be best to implement the listed goals. In addition, Student’s behavior was becoming increasingly disruptive and it could best be addressed in a smaller class setting. Thus, the IEP team properly considered the LRE factors when considering Student’s placement. 55. Student did not establish that the District failed to consider other placement options or what other services were necessary to meet Student’s needs. Student did not offer any testimony or evidence regarding in what manner the IEPs were inappropriate or failed to meet his unique needs. Student also failed to offer any testimony or evidence regarding what aids and supports were required to meet Student’s needs. 56. The program offers made to Student took into account his unique needs and the nature of his disability. Based upon a review of the IEP documents and testimony received during the hearing, the ALJ concludes that the District offered Student a FAPE during the 2004-2005 school year. 57. The District is required to have in place a signed IEP document in effect for each special education student at the beginning of each school year. 58. Mother signed and consented to the May 21, 2003 annual IEP. Student, who was 18 years old, signed and consented to the September 13, 2004 IEP which was an addendum to the May 25, 2004 IEP that had not been signed. When Student signed the addendum, he agreed to the entire IEP document. On December 2, 2004, Student gave his Mother permission to make educational decision on his behalf, but neither he nor his Mother ever revoked the consent to the September 2004 IEP. The triennial IEP meeting was held on February 28 and March 17, 2005, but did not result in a signed IEP. 59. The District had a signed IEP in place that covered the period of May 2004 to May 21, 2005. The District did not have a signed IEP in place from May 21, 2005 to the end of the school year, but Student had stopped attending District programs on May 12, 2005. The District is technically in violation for failing to have a signed IEP in place for the remainder of the school year but any violation is harmless considering that Student had stopped attending District programs and enrolled at the SVILC. 60. Prior to conducting an assessment of Student, the District must present a written assessment plan and obtain a signature from the parent granting consent to conduct the assessment. Student contends that the District failed to obtain consent from Mother prior to conducting a psychoeducational assessment in December 2004. 61. At the December 15, 2004 IEP meeting, the District presented a written assessment plan to Mother that contained the assessments it was seeking for the triennial assessment of Student due in February 2005. The District had all of the personnel who would be conducting the assessments present at the IEP meeting to discuss what each assessment would entail. 62. District school psychologist Jennifer Rinna attended the December 12, 2004 IEP meeting and discussed what she would do as part of her assessment of Student. The assessment plan indicated that the school psychologist would conduct an assessment of perceptual-motor skills, cognitive functioning, alternative means, personal, social and emotional functioning, and behavioral needs. Mother consented to the assessment plan, noting that she did not agree to the behavioral testing, presumably by a school psychologist, but wanted to have a behavioral specialist conduct the behavioral assessment. In response, the District added Dr. Eric Burkholder, who was a behavioral analyst to assist Ms. Rinna in the behavioral assessment. Ms. Rinna conducted the psychoeducational assessment and issued a written report dated January 16, 2005, pursuant to the written consent provided by Mother. 63. On January 6, 2005, Mother sent a letter to the District indicating that she withdrew her consent to the December 15, 2004 IEP but would only agree to the assessment testing. Thus, the psychoeducational assessment conducted by Ms. Rinna was conducted pursuant to Mother’s consent. 64. An IEP must include when periodic reports of the child’s progress will be issued to the parent. Student contends that the District failed to give periodic progress reports to Mother. 65. During the 2004-2005 school year, IEP meetings were held on September 13, November 12, and December 15, 2004 and February 3 and 28, March 17, and April 18, 2005. Student’s annual IEP meeting for the 2004-2005 school year was held on May 25, 2004. The notes of the IEP meetings reflect thorough discussion of Student’s goals and objectives as well as attendance issues. Grades were thoroughly discussed and a cumulative grade report was presented at the February 28, 2005 IEP meeting. Further, the November 12, 2004, and March 17, 2005 IEP notes reflect progress on goals listed in the IEP. The February 3, 2005 IEP states that Student had not attended school enough to write more about his present levels.8 The IEPs do not contain quarterly updates from Student’s teachers, but it was the practice of the District to maintain the quarterly reports in the teacher’s files. 66. Considering the number of IEP meetings held during the 2004-2005 school year, the documented discussion of goals and objectives at those meetings, and Student’s attendance issues, it is apparent that Mother was informed during the 2004-2005 school year about Student’s progress. 67. The ITP was thoroughly discussed at the March 17, 2005 IEP meeting as reflected in the IEP notes and through the testimony of Dr. Koelsch and Betty Sandlin, the District’s Workability specialist. Mother attended the meeting. The transition planning included discussion about transition goals, education, employment, community living skills, among other areas, and lasted nearly two hours. The IEP team discussed the Mother’s request for a referral to the Department of Rehabilitation. The IEP team considered Student’s needs and goals for transition and allowed Mother to have input into transition services for her son. 68. At the February 3, 2005 IEP, the District made an offer of an aide to attend any work experience jobsite with Student but Mother rejected that offer. Mother always had opportunity for input at the IEP meetings and frequently asked questions. The ITP was individualized to Student and took into account his disability. The District more than adequately provided an ITP for Student during the 2004-2005 school year. 69. Before a school district may alter the educational placement of a student, the school district must first provide notice to the student’s parents in writing. The notice must contain information pertaining to the program proposed and the reasons for the proposed change. Student contends that the District failed to provide written notice when it decided he was not eligible to receive a certificate of completion (COC). 70. At the December 15, 2004 IEP meeting, the IEP team discussed whether Student was on target to graduate or whether he would be eligible for a COC. The IEP notes reflect that Mother understood Student would be earning a COC. At the February 3, 2005 IEP meeting, the IEP team discussed that Student was not eligible for a diploma but was eligible for a COC and had enough credits to complete high school. 72. Prior written notice was not provided but the discussion reflects that the issue was thoroughly considered and discussed by the IEP team, which included Mother. Thus, there was no loss of educational benefit to Student and Mother fully participated in the IEP process. Accordingly, any procedural violation of the IDEA was harmless. 74. As discussed previously at Factual Findings 43 to 45, Student revoked consent to an AT assessment in March 2005, which would have thoroughly evaluated his need for AT. Student also stopped attending the District in May 2005, which makes any assessment or evaluation by District staff nearly impossible. Student has failed to meet his burden that the District did not adequately assess his AT needs during the 2005-2006 school year. 75. Student contends that the Developmental Test of Visual Motor Integration (VMI) and Adaptive Behavior Assessment System-II (ABAS-II) administered by school psychologist Jennifer Rinna on January 16, 2005, were inappropriate because the VMI used norms outside of Student’s age range and ABAS-II was scored incorrectly. 76. In her January 16, 2005 assessment of Student, Ms. Rinna reported that the testing norms for the VMI were based upon students aged 17 years, 11 months old. At the time she administered the VMI, Student was 19 years old. Ms. Rinna reported that the testing showed significant difficulty in visual motor integration which may affect Student’s ability to function in the classroom. 77. Dr. Marian Diamond, a clinical psychologist with extensive background and experience in education and special education, testified as an expert for Student. She conducted a comprehensive assessment of Student in May and June 2006. As part of her assessment, she interviewed Mother and Student, but never contacted the District or SVILC. Dr. Diamond testified that she assumed the accuracy of records and stories told by Mother and Student and made no attempts to verify or clarify background information or information found in the records she reviewed. She reported that Student had limited work experience opportunities, but she did not know that Student had declined a cafeteria job at school and that he had never worked at Grocery Outlet as he had reported. She did not know that Student had refused work experience if he was not paid; she believed he needed work experience whether paid or not. She would not have made the statements in her report or testified that she was “stunned” by Student’s lack of vocational training had she known. She did not review any IEP documents for 2003-2004 or the May 25, 2004 IEP, except for the ITP, and it was possible that she had not reviewed all of his IEPs when she wrote her report. She was uncertain of Student’s eligibility category before entering Newark and indicated that Newark “issued a Mental Retardation eligibility statement” for Student. It was Dr. Diamond’s opinion that Student was learning disabled. Dr. Diamond was critical of prior District assessments and her testimony concluded that Newark’s program for Student did not provide him educational benefit from 2003-2006. She made extensive recommendations about programs and services necessary to remediate Student’s deficits. 79. Dr. Diamond also testified on cross examination that it was a “mistake on her part” when she stated that Jennifer Rinna’s psychological report from January 16, 2005, incorrectly scored the ABAS-II because of the high number of unanswered questions or guesses. She was unaware that the ABAS-II manual permits scoring if the test administrator can interview the responder and state that the answers were not guesses. She backtracked from the statement in her report that Ms. Rinna did not include information to support stating that Student was in the below average in his estimated intellectual functioning. When asked if that was still her opinion, she stated she “cannot answer that question.” She also indicated that she “misread” and subsequently misreported portions of the Behavior Assessment of Children-Adolescence (BASC-A) where teachers rated Student. 80. Dr. Diamond admitted that combining certain subtest scores on the WAIS-III with other subtests would invalidate the test and she admitted that she did not give portions of the test that were required. Further, she did not give the most current version of the Wechsler Memory Scale (WMS)-Revised, when the most current copy is the WMS-III. She testified that it was not necessary to report all subtests on standardized testing, but it was not persuasive considering she reported all other tests and subtests she gave and was “sure” she gave the specific subtests in question even though they were not reported in her report. Dr. Diamond’s credibility on testing issues and the validity of her report were severally undermined by the conclusion of her testimony. 81. The District called Dr. Monica Smith to counter Dr. Diamond. Dr. Smith had not met or assessed Student but did a thorough record review, including review of historical data as far back as 1991 when Mountain View School District found Student eligible for special education in the category of mental retardation. Dr. Smith testified and established that Ms. Rinna’s assessment for IQ was appropriate given that Student is African American and cannot be given the standard IQ tests. It was Dr. Smith’s opinion that Ms. Rinna reached an accurate conclusion because putting together all the pieces from all the testing conducted by Ms. Rinna supported Student’s eligibility for mental retardation and her conclusions are consistent with other testing and prior assessments. Student’s testing has remained the same over time from 1991 to 2005, and his level of functioning has remained the same or fairly consistent, with scores primarily in the mentally retarded range. Dr. Smith testified that one would expect to see splinter scores or skills as indication of other diagnoses but since his skills and scores have been consistent over time, she believes that the reports, testing, and mental retardation category are valid. Student’s developmental milestones are also consistent with mild mental retardation, such as when Student crawled at 9-11 months, when the average is 6 months; walked at 18 months-to-two years, when average is 11-to-13 months; and learned toileting at 5 years, when the average is 2 years. 82. Further, Dr. Smith testified and established that it is not typical to have a learning disability coupled with mental retardation. Dr. Diamond did not provide sufficient information to make the determination that performance IQ is the beat measure of Student’s ability, particularly since she did not determine his verbal IQ. The discrepancies noted are not valid and are not supported by her testing and reporting. Dr. Smith was not aware of any testing that the Performance Organization Index (POI) is more predictive of cognitive ability and is not aware of any literature that supports that hypothesis as reported by Dr. Diamond. Further, Dr. Diamond’s performance IQ score was invalid because she used paired subtests for scoring purposes that are not permitted by the manual, as was her WAIS-III testing because she used too many substitutions of testing results; the manual allows one substitution, Dr. Diamond used two. Dr. Diamond’s reliance on performance IQ is questionable because the irregularities of the subtests and the performance IQ scores play to Student’s visual strengths which brought up his score. Dr. Diamond should have given all the tests to get a full picture of Student and then drawn conclusions. If she had followed proper procedures, Dr. Smith believes that the scores would have been somewhat lower, which would have put his scores into the mild mental retardation range. Dr. Smith does not believe that Student is learning disabled (LD). The scores reflect global deficits in functioning and not specific deficits more often apparent in LD. 83. Dr. Smith was a very credible witness. To the extent that there is a disagreement and conflict in the opinions of Dr. Diamond and Dr. Smith, the ALJ finds that Dr. Smith is more credible. Her opinions were corroborated by other evidence received during the hearing and were based upon sound interpretations of testing protocols. Dr. Diamond had significant credibility issues with her report and testimony, and was not persuasive. The ALJ is persuaded by the testimony and opinions offered by Dr. Smith. 84. Student’s annual IEP meeting was held on February 23, 2006. Mr. Levin testified and established that the placement offer at the February 23, 2006 IEP meeting was essentially the same placement offer made at the triennial IEP in February 2005 with the addition of a typing goal based upon the AT assessment partially completed by Ms. Mowry-Evans. A representative was present from SVILC to review Student’s progress. At the March 29, 2006 IEP, same program was offered in Mr. Levin class. The meeting also reviewed and discussed an ITP for Student. As stated previously in Factual Findings 46 to 48 and 52 to 56, the offer made at the February 28, 2005 IEP offered a FAPE to Student. Accordingly, Student’s program and offer at the February 23, 2006 IEP offered Student a FAPE. 85. Student was not attending a District school or program during the 2005-2006 school year. The District offered persuasive testimony and evidence that it had no knowledge of bullying in any of the school years at issue. As previously discussed in Factual Finding 49 to 51, Student has failed to meet his burden on this issue. 86. As discussed in Factual Findings 38 to 40 and 73 to 83, Student failed to offer sufficient or compelling evidence to show that the District did not meet Student’s needs in the area auditory processing, speech and language, visual motor integration or AT, or that he was LD. The testimony of Dr. Diamond was discredited and not compelling. The ALJ was also not persuaded by the testimony of Ms. Paton related to auditory processing deficits. 87. Student did not offer sufficient evidence or testimony to support a finding that Student had difficulty with executive function, vision deficits, dysgraphia and fine- motor deficits or that the District was aware of any deficit and failed to meet Student’s needs in those areas. To the extent that Student relied upon testimony offered by Dr. Diamond for executive functioning deficits, the ALJ is not persuaded by her testimony as previously addressed in Factual Finding 83. To the extent that Student relied upon the testimony of Leanne Liddicoat, who is a doctor of optometry, the ALJ finds an insufficient link between her evaluation of Student on or about February 1, 2007, and failure of the District to address any vision deficits in Student’s program during the 2005-2006 school year. Student offered no testimony to show that Student suffered vision deficits during the timeframe, none were noted in Student’s IEPs, and he passed a routine vision test for the February 28, 2005 triennial IEP. 88. The therapies proffered by Student were not necessary for Student to receive a FAPE during the 2005-2006 school year. 89. The District is required to have in place a signed IEP document in effect for each special education student at the beginning of each school year.10 As stated in Factual Finding 59, the District did not have a signed IEP in place from May 2005 to the end of the school year, but the error was harmless. The 2005-2006 school year began in August 2005 and Student was not attending a District school or program. 90. The District held IEP meetings with Mother and Student on February 28, March 17, April 18, 2005, with two additional meetings scheduled for May 13 and 31, 2005, in an attempt to resolve any disputes through the IEP process. Student subsequently stopped attending school in May 2005 and on July 27, 2005, the District sent a letter to Mother indicating that she had unilaterally placed Student and that the District was entitled to observe his placement and enclosed a release of information request. The IEP team met again on February 23 and March 29, 2006, in an effort to get an IEP in place. 91. Since Student was not attending the District, there is no violation. Further, Student did not offer any information or evidence to support a finding that he was denied any educational benefit, particularly since he was attending a non-district placement with his Mother’s permission, and the evidence showed that Mother fully participated in all IEP discussions. 1. Under Schaffer vs. Weast (2005) 546 U.S. 49, the party who filed the request for due process has the burden of persuasion at the due process hearing. Student filed for a due process hearing and bears the burden of persuasion. I. The District did not fail to assess or conduct sufficiently comprehensive evaluations of Student in all areas of disability during the 2003-2004, 2004-2005, and 2005-2006 school years. 1. As stated in Factual Findings 3 to 6 and Applicable Law sections 1 and 12, Student did not offer sufficient testimony or evidence to sustain his burden that Student was not properly assessed or required additional assessments in the area of auditory processing, speech and language, cognitive functioning, and executive functioning. Further, Student did not offer any testimony that the District’s assessments were conducted in violation of Larry P . in all areas of disability. Student also offered no testimony or evidence to suggest that the District was on notice that additional assessment were warranted prior to Student’s triennial evaluation that was due in May 2005. Accordingly, the District did not fail to assess Student in the listed areas. 2. As stated in Factual Findings 7 and 8 and Applicable Law section 12, Student’s May 21, 2003 IEP reflects a request by Mother for a referral to the Center for Accessible Technology, but the purpose or appropriateness of the request was not discussed at the IEP meeting because of time constraints and there was no follow up discussions. Mother did not testify about AT requirements during the hearing. Otherwise, there was no evidence offered by Student that an AT assessment was required to help Student access his education. To the extent that the Mother’s requested referral represented a failure on the part of the District to assess AT, the error was harmless considering Student was doing well in his academic program which offered him a FAPE as stated in Factual Finding 21. 3. As stated in Factual Findings 33 to 38 and Applicable Law section 12, the District appropriately assessed Student for an auditory processing disorder using the TAPS-UL standardized test. Student offered no testimony or evidence to show that the TAPS-UL was normed incorrectly or that the assessment conducted by school psychologist Jennifer Rinna failed to identify other auditory system deficiencies. The testimony offered by Student’s expert was not persuasive to establish that Student had CAPD. The overwhelming weight of the evidence shows that Student was mentally retarded. 4. As stated in Factual Findings 38 to 40 and Applicable Law section 12, Student did not establish that the speech and language assessment conducted by Lynn Davies on February 28, 2005, inappropriately used the CREVT, SPELT-II, or CELF-3 standardized tests in her evaluation. The overwhelming weight of the evidence showed that the tests were used as non-standardized probes to measure Student’s performance and were not compared to the testing norms, which were outside his age range. Accordingly, the District did not fail to properly assess Student for speech and language in February 2005. 5. As stated in Factual Findings 41, 42 and 77-83 and Applicable Law section 1 and 12, Student did not sustain his burden of proof that the District should have provided further evaluation in the areas of auditory processing, speech and language, cognitive functioning, or executive functioning. Comprehensive evaluations had been conducted for the February 2005 triennial evaluation and Student did not offer any information to suggest that the testing was in appropriate or that additional testing was warranted. 6. As Stated in Factual Findings 43 to 45 and Applicable Law section 12, the District completed a partial assessment of Student’s AT needs on March 9, 2005, before Mother withdrew her consent. The incomplete AT assessment resulted in a new goal for Student to address typing and near point copying as a result of the assessment. Accordingly, the District did not fail to assess Student’s AT needs on March 9, 2005. 7. As Stated in Factual Finding 73 and Applicable Law section 12, a comprehensive triennial evaluation occurred in February 2005 that addressed all areas of Student’s need. Student did not offer any evidence or testimony to show that a further evaluation was required in the areas of cognitive functioning or executive functioning, particularly since Student was not attending a District program or school. 8. As Stated in Factual Findings 74 and Applicable Law sections 7 and 12, the District attempted to complete an AT assessment on Student in March 2005 but Mother withdrew her consent. Student was not attending a District program or school during the 2005-2006 school year. Student did not meet his burden to show that the District did not adequately assess his AT needs during the 2005-2006 school year. 9. As Stated in Factual Findings 75 to 83 and Applicable Law section 12, the District properly utilized the VMI and ABAS-II in the psychoeducational assessment conducted by Jennifer Rinna on January 16, 2005. Student’s expert was discredited during cross examination and changed her position on the scoring of the ABAS-II. The VMI was utilized as a measure of Student’s visual motor integration but was not compared to the testing norms. The District’s expert testimony was much more credible and believable, and the ALJ was persuaded that the VMI and ABAS-II were properly utilized during the assessment. Accordingly, the District did not fail assess properly assess Student’s visual motor and adaptive behavior during the 2005-2006 school year. II. The District offered Student a substantive FAPE during the 2003-2004, 2004-2005, and 2005-2006 school years. 10. As Stated in Factual Findings 9 to 12, 16 to 21, 46 to 48, 52 to 56, and 84, and Applicable Law sections 1 to 3, 5, 8, and 11, the District offered Student a program that addressed his unique needs and provided him educational benefit in the LRE. Accordingly, the District offered Student a FAPE for the 2003-2004, 2004-2005, and 2005-2006 school years. 11. As stated in Factual Findings 13 to 15, 49 to 51, and 85, and Applicable Law sections 1 to 4, Student did not offer any evidence or testimony to establish that a BSP was required to address bullying. The May 21, 2003 IEP states that Student had made great social strides and was getting along “fairly well” with his peers. Student was attending group counseling and had developed strategies to deal with conflicts with other students. Student did not establish that a BSP was required to address bullying on February 3, 2005. The overwhelming weight of the evidence and testimony showed that Student had isolated incidents involving peer conflicts but that Student was often the initiator in those conflicts. Further, the District did not have any notice that a BSP was required to address bullying at school during the 2005-2006 school year, particularly since Student was not attending a District program or District school that year. Accordingly, the District did not deny Student a FAPE by not instituting a BSP to address bullying. 12. As stated in Factual Findings 86 to 88 and Applicable Law section 1 to 3, Student did not demonstrate that he had additional needs and that the District failed to offer him additional therapies to address his disabilities in the areas of auditory processing; speech and language; executive function; visual motor integration; vision; dysgraphia and fine motor; and AT. Accordingly, the District did not deny Student a FAPE by not offering additional services in the listed areas during the 2005-2006 school year. III. The District did not commit procedural violations rising to the level of a FAPE denial during the 2003-2004, 2004-2005, and 2005-2006 school years. 13. As stated in Factual Findings 22 to 27 and Applicable Law sections 1, 5, and 10, the District provided Mother periodic progress reports on Student’s progress during the school year. Even though the IEPs do not specify the dates that the progress reports were given, the overwhelming weight of the testimony and evidence demonstrates that Mother received regular updates about Student’s progress during the 2003-2004 school year. 14. As stated in Factual Findings 28 to 32 and Applicable Law sections 6 and 10, the District developed and implemented an appropriate transition plan for Student during the 2003-2004 school year. 15. As stated in Factual Findings 57 to 59 and Applicable Law sections 9 and 10, the District had a signed IEP in place for the 2004-2005 school year, with the exception of May 21, 2005 to the end of the school year. Student was not attending a District school or program during this time. Accordingly, any violation was harmless. 16. As stated in Factual Findings 60 to 63 and Applicable Law sections 10 and 12, the District did not conduct a psychoeducational assessment of Student in January 2005 without parental consent. 17. As stated in Factual Findings 64 to 66 and Applicable Law sections 5 and 10, the District provided Mother periodic progress reports on Student’s progress during the school year. Even though the IEPs do not specify the dates that the progress reports were given, the overwhelming weight of the testimony and evidence demonstrates that Mother received regular updates about Student’s progress during the 2004-2005 school year, particularly in light of the number of IEP meetings that occurred that year. 18. As stated in Factual Findings 67 to 68 and Applicable Law sections 6 and 10, the District developed and implemented an appropriate transition plan for Student during the 2004-2005 school year. 19. As stated in Factual Findings 69 to 72 and Applicable Law sections 7 and 10, the District properly considered and found Student ineligible for a Certificate of Completion (COC) from high school. While the notice of the denial was not in writing, the overwhelming weight of the testimony shows that Mother had more than reasonable notice that Student was not eligible for a COC before the comprehensive discussion on April 18, 2005, and participated fully in those discussions. Any error by the District was harmless and did not rise to the level of a FAPE denial. 20. As stated in Factual Findings 89 to 91 and Applicable Law sections 9 and 10, Student was not attending the District school or program during the 2005-2006 school year, but multiple IEP meetings were held to resolve any disputes and get a signed IEP. While the District did not have a signed on IEP in place at the start of the 2005-2006 school year, Student was not attending a District school or program and had been unilaterally placed by Mother at SVILC on May 12, 2005. Mother had regularly attended and participated in all IEP meetings and there was no showing that Student was not receiving educational benefit in the new program. Accordingly, any violation for failure to have a signed IEP in place was harmless and did not rise to the level of a FAPE denial.